Air Travel Comes to Belize! 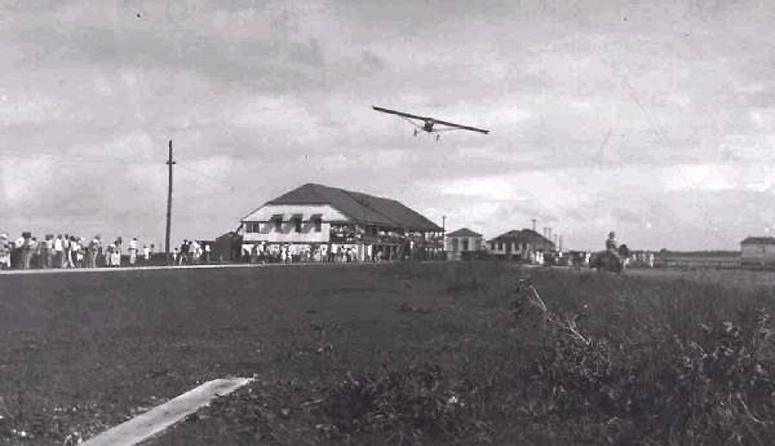 In these photos the age of air travel comes to Belize. On December 30, 1927 we were visited by Col. Charles Lindbergh in his Ryan monoplane "The Spirit of St. Louis." 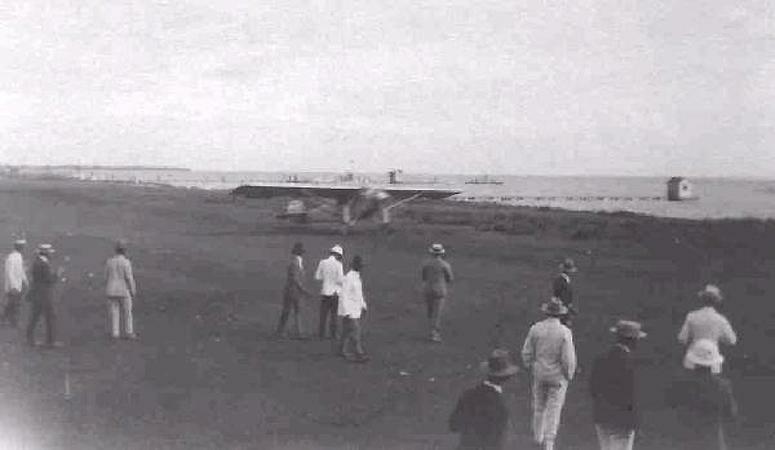 Following his triumphant transatlantic flight, Lindbergh set off on a goodwill tour of the Caribbean Basin. He flew from St. Louis to Mexico City, then to Guatemala City and on to Belize. After leaving Belize, Lindy went to each of the Central American capitals, around the tip of South America, back north through the islands, and returned to St. Louis. His famous airplane was retired from service following this trip and now hangs in the Air and Space Museaum of the Smithsonian in Washington. "The Spirit of St. Louis" slipping into the wind on landing approach to the polo field at The Barracks. "The Spirit of St. Louis" is on the ground as welcoming crowds gather.